In the past decade, researchers have shown that playing games can boost students’ ability to think in systems. Any game is a system, after all, and when players take actions, the game itself, as an interactive system, can change. Moving a knight across a chessboard, for example, can change everything for the opposing player. Systems thinking can deepen students’ connection to learning by making it more meaningful and much less rote. One of the ways I introduce systems thinking to students is with the short video “How Wolves Change Rivers,” which illustrates a real-world system. The video explains how the reintroduction of wolves into Yellowstone National Park (an ecosystem) has resulted in a “trophic cascade” of change. The presence of wolves caused elk (who fear them) to graze less frequently in the park’s open meadows. This effect then caused the return of other species, as well as growth of grass across the meadows. The increase in grass strengthened the banks of the park’s rivers, thus affecting the river systems. Like the Yellowstone ecosystem, games are also systems—models and microcosms of real-world interconnections. And as with the addition of wolves in Yellowstone, adding or changing parts of games can result in interesting and unintended consequences. After modding (modifying) these simple games, ask students questions like, “What intended and unintended consequences does the imposition of tariffs have across economic systems?” Or, “What happens to the status quo of characters in books after protagonists take certain actions?” By playing with systems, students can learn to think in systems. Going further, you might have students digitally simulate real-world and fictional systems using web-based tools like mind maps. Of note is Nicky Case’s LOOPY, a free and easy-to-use tool that animates systems of all types, from ecological to economical, from social to political. Oh, and it’s fun, too. While playing games can reinforce systems thinking literacy, the act of making games can teach systems fluency. This approach—known as constructionist gaming—is an opportunity to combine game-based learning with project-based learning. In the terrific book Connected Gaming: What Making Video Games Can Teach Us About Learning and Literacy, Yasmin Kafai and Quinn Burke marry James Paul Gee’s learning principles to Seymour Papert’s constructionist notions about how we learn through making personally meaningful artifacts. Gee has famously written about playing “good” video games as it relates to “good learning.” Good games (educational and commercial) stimulate active, metacognitive learning as players learn the semiotics of games, which are designed systems. Kafai and Burke go further, writing about constructionism as meaning-making. In other words, when students make and share games, they learn not only about course content but also about their own thinking. Or, as Papert wrote, they become epistemologists constructing their own theory of knowledge. While this might all sound very academic and theoretical, constructionist gaming is quite commonplace in practice. For example, one needn’t look further than Minecraft, which has a Creative Mode right on its start screen. Similarly, the coding tool Scratch encourages community members to remix games and digital animations by pressing the See Inside button. 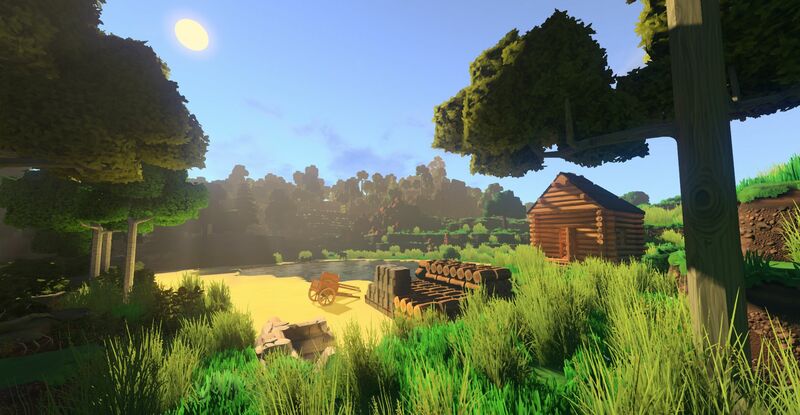 Aside from Minecraft and Scratch, there are many games that can encourage student production. One of my favorites is Eco, in which players use limited resources to create ecosystems. Players can even create their own systems of self-government. Eco has won several awards, and has received funding from the U.S. Department of Education. Another constructionist game platform I like is an escape-room-in-a-box kit called Breakout EDU. Recently, Breakout EDU launched student accounts, as well as videos that teach game design. After playing existing breakout games on content, students can then make their own. But what about games that don’t include tool sets for game design? One option is for students to use non-digital components to prototype games. I use party games like HedBanz, a sort of reverse charades game that students first play all together. Then they remix their own versions using just index cards and markers. Another option for game remixing using third-party tools is the interactive fiction tool Twine. It’s basically a digital choose-your-own-adventure platform, and choices players can make appear to student designers on a story map. When I taught social studies, my middle schoolers first played a PBS Mission US video game set in the Boston Massacre, and then used Twine to make sequels set during subsequent historical events. As a result, they learned historical empathy and systems fluency while mastering content.